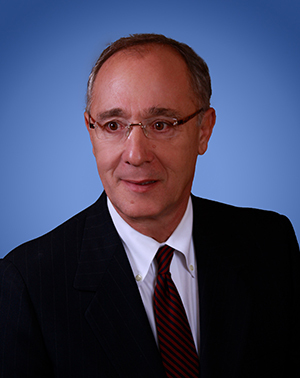 Louis T. Lozano, a founding Partner of Lozano Smith, is preeminent among attorneys engaged in the practice of education law in the state of California. He has been representing and advising school districts in all areas of the law for more than 40 years. Mr. Lozano has been at the forefront of important issues in education law in California. He is also highly regarded for his skills in conducting labor negotiations. Mr. Lozano's roots in education trace to his early career as a high school teacher in the Oakland Unified School District. He received his Juris Doctor degree in 1975 from the Boalt Hall School of Law, after receiving his secondary life teaching credential in 1971 and bachelor's degree in 1970 from the University of California at Berkeley. After a brief stint representing land developers in the San Francisco Bay Area, he began a career in law as Deputy Counsel in the School Law section of the Fresno County Counsel's Office. From there, he entered private practice with the San Francisco firm of Breon, Galgani, Godino & O'Donnell, focusing in labor relations and education law. Mr. Lozano is a frequent presenter at education workshops and seminars throughout California and has presented a whole host of topics at numerous professional development conferences, including the California School Boards Association (CSBA), the Association of California School Administrators (ACSA) Negotiators' Symposium, the ACSA Personnel Institute, Personnel Academy, the Coalition for Adequate School Housing (CASH), the State School Personnel Commissioners Association and the University of Southern California Education program. He was the keynote speaker at the annual state-wide meeting of the State Mediation and Conciliation Service. He was named a Northern California Super Lawyer in 2004 and 2007 through 2015 in the field of education law. Only five percent of the attorneys in California are selected for this distinction each year. Mr. Lozano has been the only attorney in the field of education law who was so recognized in 2010 and 2011. Labor and employment specialists Lou Lozano and Darren Kameya join Devon Lincoln for a discussion of the unique challenges arising at the public employee union bargaining table in 2019. The conversation covers the fallout from the 2018 Supreme Court decision in Janus v. AFSCME, the implications of the LAUSD strike and other labor actions, and how public agencies can attempt to navigate in these complicated times. Lozano Smith is pleased to provide public agencies with an in-depth Janus Toolkit including important background information, answers to frequently asked questions, an implementation checklist, templates for communication, and more. Download the toolkit at: www.lozanosmith.com/janustoolkit.